SAN DIEGO, CA – Aug. 12, 2016 – Sullivan Solar Power is the title sponsor of the 2016 GI Film Festival San Diego to be held Wednesday, Sept. 14 through Sunday, Sept. 18 at throughout San Diego County. Venues include the Museum of Photographic Arts in Balboa Park, UltraStar Cinemas Mission Valley at Hazard Center, and The Vintage Village Theatres in Coronado. Founded by Daniel Sullivan in 2004, San Diego-based Sullivan Solar Power is a locally-owned and operated, turnkey solar system provider that delivers solar electric projects from concept to completion. Sullivan Solar Power’s vision is to fundamentally change the way this region, and ultimately this world, generates electricity. The firm has been named one of the fastest growing energy companies in the nation by Inc. Magazine and services all of Southern California. 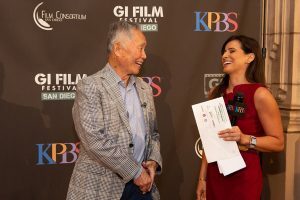 The festival, now in its second year, is a project of KPBS in partnership with the GI Film Group and the Film Consortium San Diego. The festival features 28 films for, about, and by service men and women, bringing the stories of America’s military to life through film. The scheduled screenings include nine West Coast Premieres and one World Premiere of an animated short about an Army veteran retelling his healing journey after coming home from war. Many of the events will be open to the public with special discounted opportunities for active duty military personnel and veterans. General admission tickets and All-Access Passes for entry into festival events and screenings are available now on the GI Film Festival San Diego website at www.GIFilmFestivalSD.org. The Sullivan Solar Power 2016 GI Film Festival San Diego is presented by KPBS in partnership with the GI Film Group and Film Consortium San Diego. The festival is sponsored by National City Mile of Cars and Scatena Daniels Communications with additional support provided by a grant from The Kenneth T. and Eileen L. Norris Foundation.